Eerily reminiscent of a movie I saw when I was a teenager, the “worship” band at a local contemporary, seeker-friendly, culture-relevant church hits the stage. In the last post, I acknowledged that there’s really nothing more I can add to the volumes of critiques written about the phenomena known as the contemporary church in America. Having been recently challenged, however, to evaluate a local gathering of a seeker-friendly, culture-relevant youth group in terms of an adherence to biblical standards, I’m writing this series of articles in the hopes that, as the title of this blog suggests, those who are thirsty for God, the truth, and His way of salvation and holy living, may be similarly challenged to weigh their involvement in such groups according to the standards of the Bible. It is also my intent to try to avoid any arguments that may provide a young person the opportunity to claim that I don’t like his youth group simply because of my age and any perceived generation gap. The goal will be to earnestly evaluate any group or meeting based entirely on whether or not it can be said of it that it honors God because it meets and acts in ways endorsed, prescribed, and/or dictated by the Bible, which is our entire rule of life. 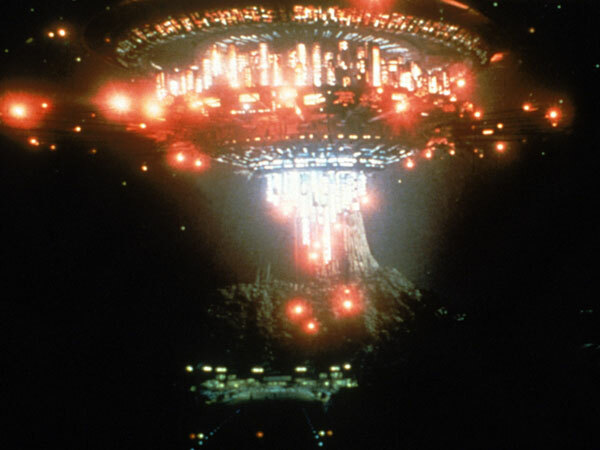 The Mother Ship in the 70's film, "Close Encounters of the Third Kind"
Where does one begin? There are several aspects of such a meeting that should be examined individually, perhaps, but certain aspects overshadow others. By itself, the preaching at this youth group had some very good points. The young man who is the pastor jumped right in by saying that his was not a “drive-by” message. By that, I presume that he meant that what he was going to say should be taken simply as a spiritual “fix-it-and-make-it-feel-better” kind of therapy talk, but would deal with a transcendent topic, “Who God Is.” This subject, the person of God, should inform every other area of our lives, and in fact, God, because of who He is, demands and deserves control of your life. The content and delivery of the sermon, however, will have to wait for an upcoming post so as not to make these posts huge. multi-million dollar, private jet, be shuttled to the arena in their hired limosine, and take to the stage dressed in their $3000 suits. Now, to make the picture really complete, imagine that before the sermon, there was a testimony time and the speaker, giving her testimony of how Jesus is her savior and Lord, was none other than Carrie Prejean, the former Miss California who blew her opportunity to become Miss America because of her politically-incorrect answer at last year’s top beauty pageant. Why have I conjured up such a ridiculous scenario? Well, before I get to the biblical evaluation of such meetings, I have to first establish that the format and the container of any message will convey something important about the message. In such a situation, it wouldn’t matter at all what the message was. Miss Prejean and the preacher could preach a very sound message, but the container of that message would convey something entirely different to the Iranian audience. In fact, it would actually be worse if they connected the preaching of God’s word to the container I have presented in my hypothetical situation because it would further ingrain into the minds of the hearers that Christianity is immoral, covetous, sensuous, and wicked. If the message were doctrinally sound, would they perceive such a thing by the words spoken? No, it would be gained from the way it was presented. Unfortunately, our culture is really in the driver’s seat right now when it comes to dictating how the church’s messages are delivered, and, as Henry Van Til said, “Culture is religion externalized and made explicit.” What does that mean? It means, simply, that that which man worships in his heart is made evident by the things he values and does. A culture is the ideas, customs, arts, and skills of any people which are transferred and communicated to the next generation. We’ll examine the medium used to deliver the message to the contemporary, seeker-friendly, culture-relevant church and see if it aligns more closely with our culture or with scripture in Part 3. Tracy, when you going to Part 3? I’d like to read what you have to say next. I like what you say about the medium – especially in Iraq. My daughter, who is with YWAM out of the Springs has been to Pakistan twice – you don’t do “Crusades” in a muslim country, that’s for sure. But, wouldn’t you say that their culture would determine the medium too? Not just in America? Hi, Bill. Thanks for the comment. I admit, I have let my blog slip through the cracks. I’ll try to get back into it. Hard to run a business, manage a family of 7 and do things on the side like this. 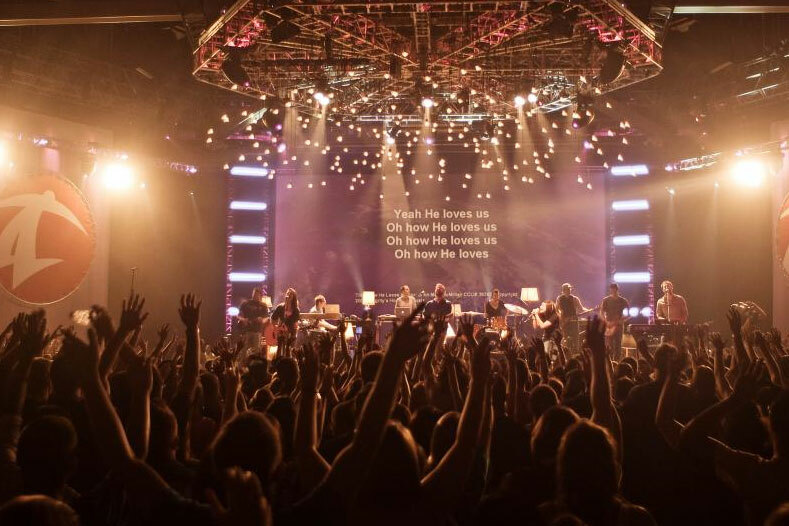 How Can A Holy God Save Sinners? What Is God Doing In Human History? What On Earth Is God Doing?